The looks of mid-sized GM coupes and sedans of the mid-1970s (and all cars sold in the U.S. for that matter) certainly weren’t helped by the introduction of federally-mandated five-mph bumpers. 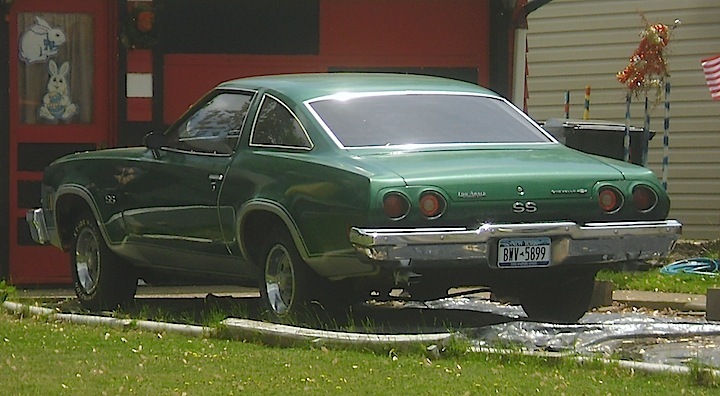 Try picturing this 1973 Chevy Chevelle SS, pictured in Tonawanda, with “normal” pre-fed bumpers. Much better. Much, much better. — Jim Corbran, RRofWNY The post RealRides of WNY appeared first on Buffalo Cars.